On the move? Take MyAflac with you. We know your lifestyle is important to you. That's why we're here when an accident or illness threatens it. With MyAflac Mobile, you can stay in touch - wherever you are. It's just another way Aflac helps keep your lifestyle healthy. 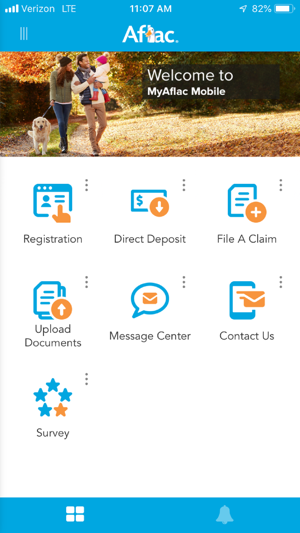 Watch for new products and convenient new features as we update our MyAflac Mobile app. 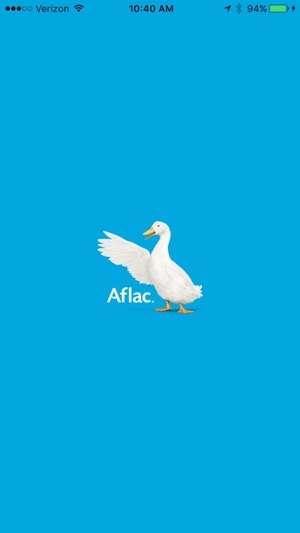 Information on all MyAflac policies and features is available at www.aflac.com. Performance improvements, bug fixes and re-branding. Good Value and Life enhancer at the worst of times. My story is not a rare one except for one small thing. I had urged my mother to get the cancer policy for her supplemental insurance through AFLAC. This suggestion was taken and it made the world of difference for my mom over the four years she battled the ugly monster. He husband was able to be with her for most of her appointments and they had money to pay their bills. They did not have to exhaust their savings. In the end my moms bills are paid and her husband had that small relief of less financial burden. I can go on and on of why supplemental insurance is important. But be well educated and pick the plans that best suit your family and possible situations. As for the accident plans. I have personally been able to heal from an injury and do it with less stress due to financial strain. It’s not a scam. It does help when you need help and use them for what they are intended. Short term disability is another plan. Read the file completely and if you have questions ask. The reps are helpful. Good luck and health. My husband has been in the hospital in PCU for three weeks with sudden kidney failure. On the fourth day, I was so relieved to remember the Aflac payments being drafted each payday but really didn’t know what policies he had. I knew I couldn’t leave him for an hour long drive home to my computer and fax. Finding this App allowed me to check what policies we had, gather necessary documentation, have the Drs sign forms and upload everything that needed to be submitted. When additional info was needed the App/ messages &/or customer service guided me and told me this is the fastest way to get documentation to Aflac’s claims department even before he is discharged. Best of all, I did it by his bedside, great peace of mind for us both knowing he will be in the hospital for many more days to come. We have had AFLAC sick and accident for many many years. It worked well with my family being involved in sports. In 2012 my husband called me at work and said the rep was in his office for yearly review and wanted me to come by. I was very busy at work and said no. He kept bugging me so I went down. The rep offered cancer coverage. Well, since NO ONE in my family had ever had cancer and I thought the premium was s little high, I said no. Well, she kept bugging me to join. So I said ok. Then, 11 months later who gets diagnosed with cancer? Me! That policy WAS THE BEST THING I EVER GAMBLED ON. It has allowed me to keep my home and retire to enjoy my life as it is. My cancer isn’t curable and AFLAC is there for me.